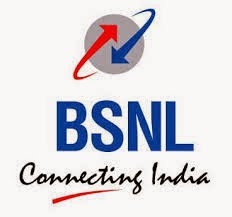 BSNL Internet is most famous Internet Broadband connection service in India. Its not only due to its ready availability but mainly because of it's somewhat cost-effectiveness. But, even though, many BSNL Broadband and BSNL Cellone Dataone users are frustrated with BSNL Internet speed as they never get speed that BSNL has promised to them and BSNL broadband connection breaks after every minutes because of line errors. So today i am going to share with you the latest hacks that you can use to increase BSNL broadband connection speed and avoid regular disconnection and line losses. The main reason for slow BSNL Broadband connection speed is slow BSNL DNS servers. 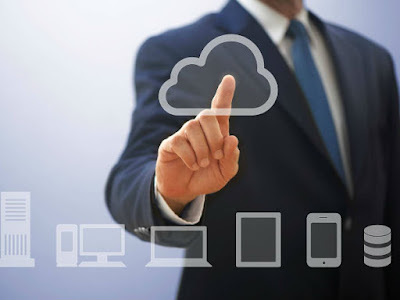 So, we can increase BSNL Broadband connection speed by changing default BSNL DNS servers to fast BSNL DNS servers, which can help us to increase BSNL broadband connection speed. Using public DNS servers improves speed, as BSNL has lot of users and all using the same DNS servers. So during peak time the DNS reacts very slow and takes a lot of time to translate the host address to numerical value, called IP address that your network used to connect to website. The best way to increase BSNL Broadband connection speed is to block flash and other unwanted ad material on webpage, so that page loads faster, thus make BSNL Broadband apparently fast. AdBlockPlus is a firefox addon used to block flash content of page, thus helping you to increase BSNL Broadband connection speed. This has a lot of effect as it blocks unwanted advertisements and popups thus making your internet browsing experience even better. This is another software used to optimize your TCP/IP connection settings. TCP/IP determines the maximum transfer Unit(MTU) for your device. The maximum data that your connection can send or receive per packet. Best MTU setting for BSNL broadband is 1492 ( by default its 1500 that causes an extra load on your broadband connection that why disconnections occur as you are forcing your device for doing something that it is not capable off, so optimise your TCP/IP settings). You can use TCP Optimizer your BSNL network settings. Install TCPOptimizer. For Internet Explorer : Tools - Internet Options - Browsing History - Settings - Disk space to use and reduce disk space value to "50". For Firefox: Tools - Options - Advanced - Network and look for cache space. Change value to 50. These are some BSNL hacks to increase BSNL internet broadband connection speed. Just give them a try and check out whether it works for you to increase BSNL internet speed. If you have any other BSNL hack to increase BSNL broadband speed, please mention it in comments.